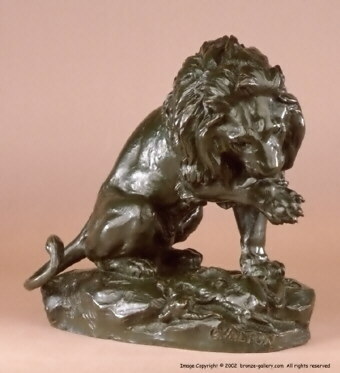 This is a finely detailed and superbly cast bronze sculpture of a Lion grooming after feasting on a gazelle. The sculpture shows the strong influence of Valton's teacher Antoine Louis Barye. 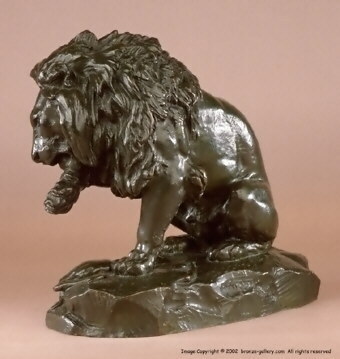 It is in exquisite condition and is finished in a rich brown patina.